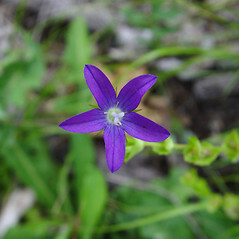 Clasping-leaved Venus'-looking-glass probably gets its name from related European species that have larger seeds with shiny mirror-like surfaces. 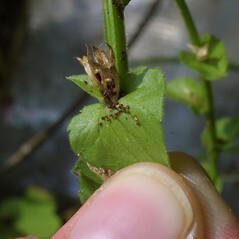 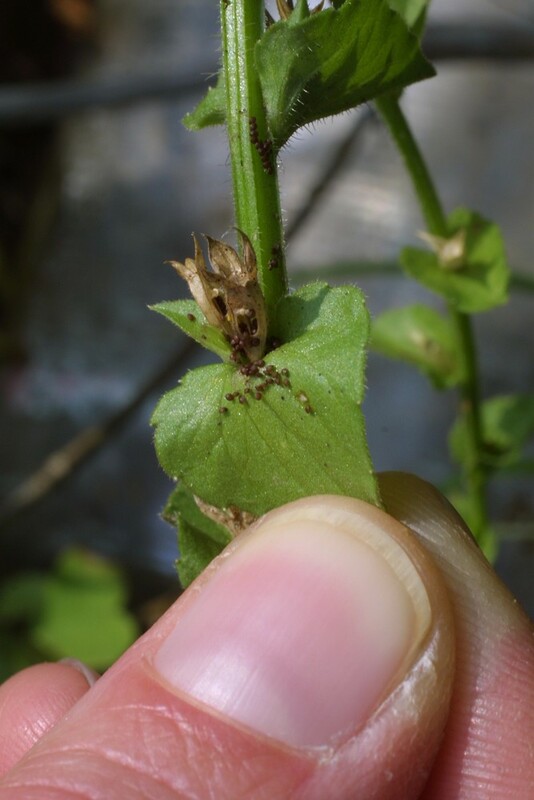 In this species, the seeds are quite small. 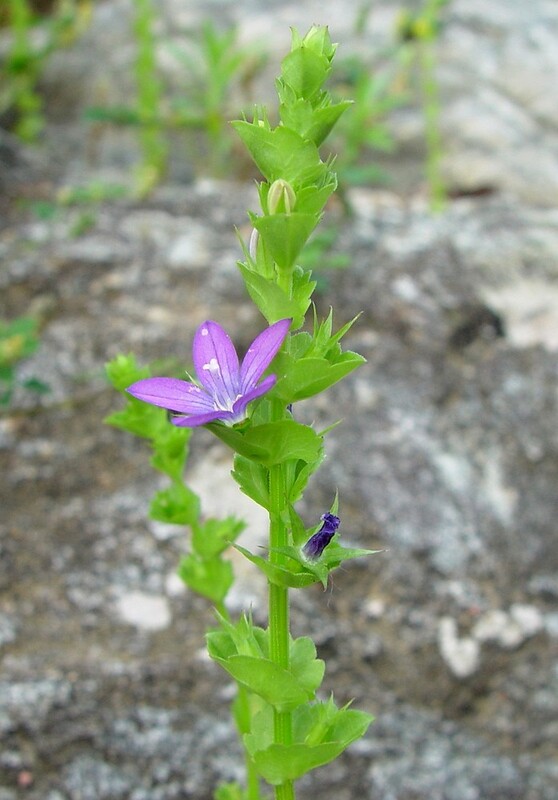 The Cherokee used the root to treat dyspepsia from overeating. 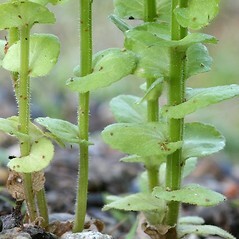 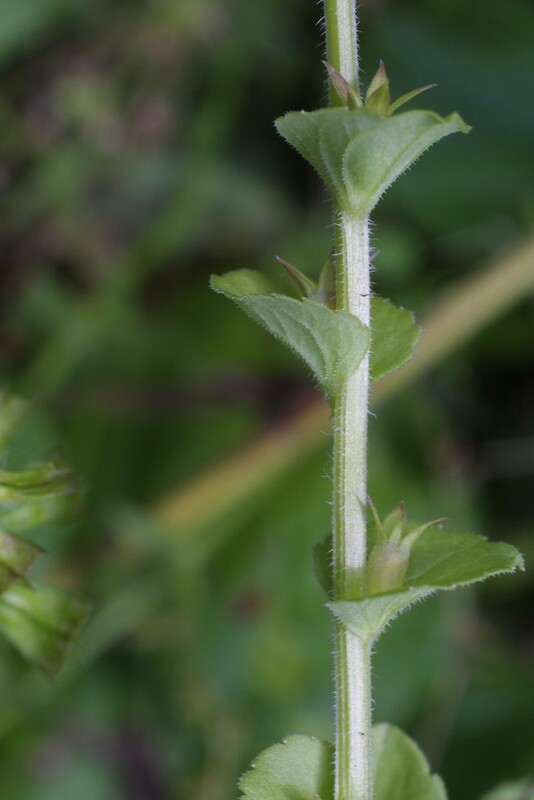 Specularia perfoliata (L.) A. DC. 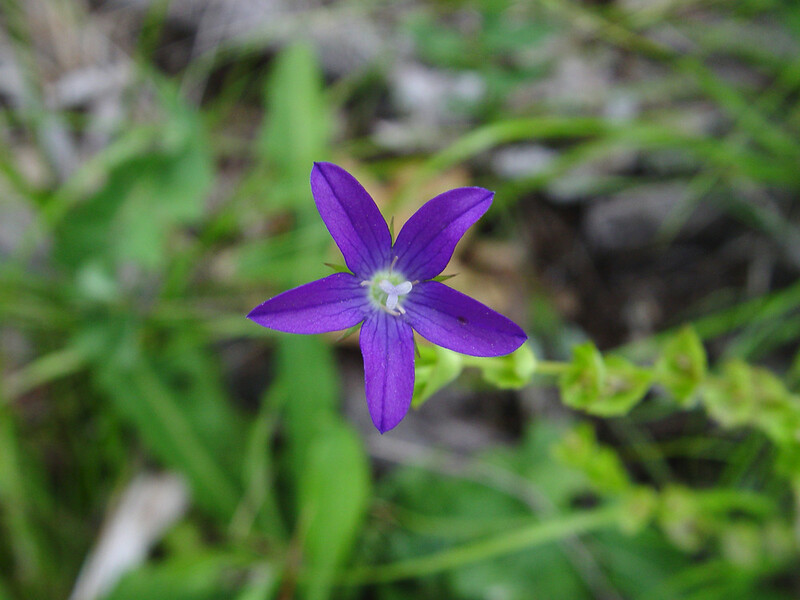 clasping-leaved Venus’-looking-glass. 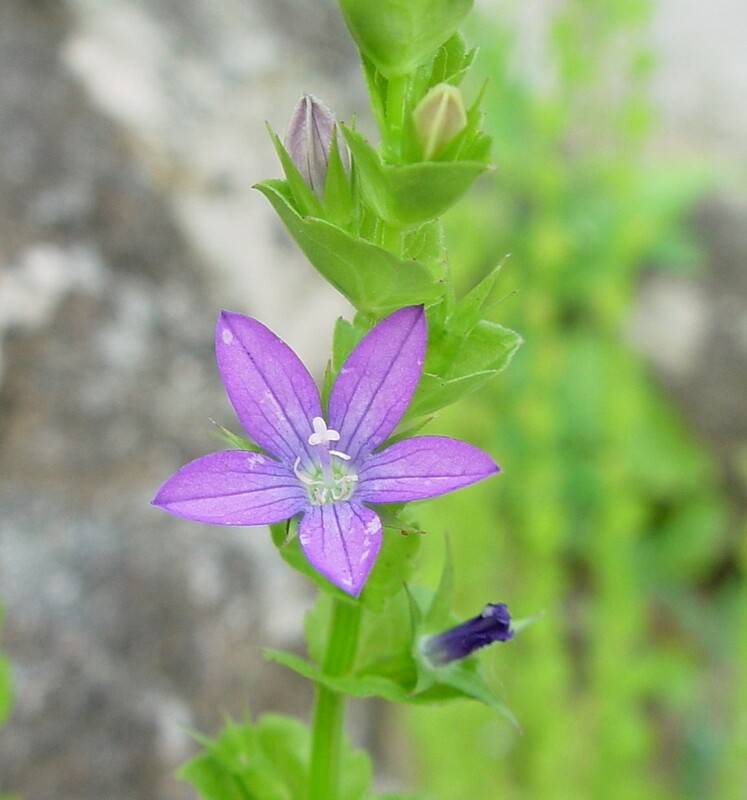 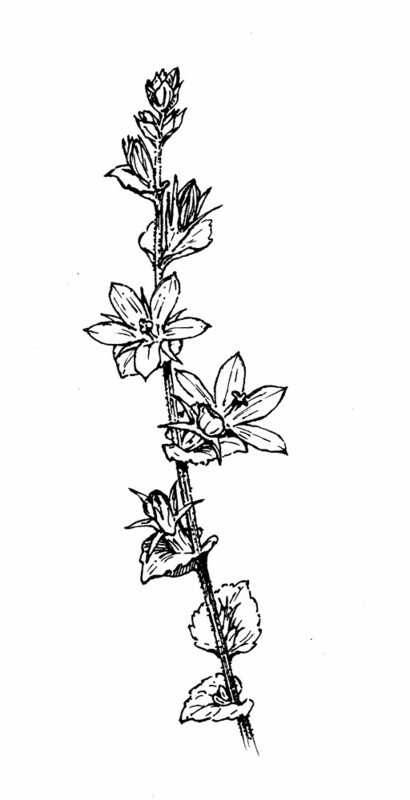 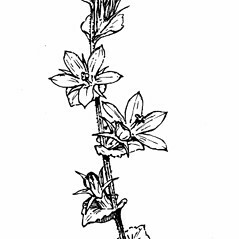 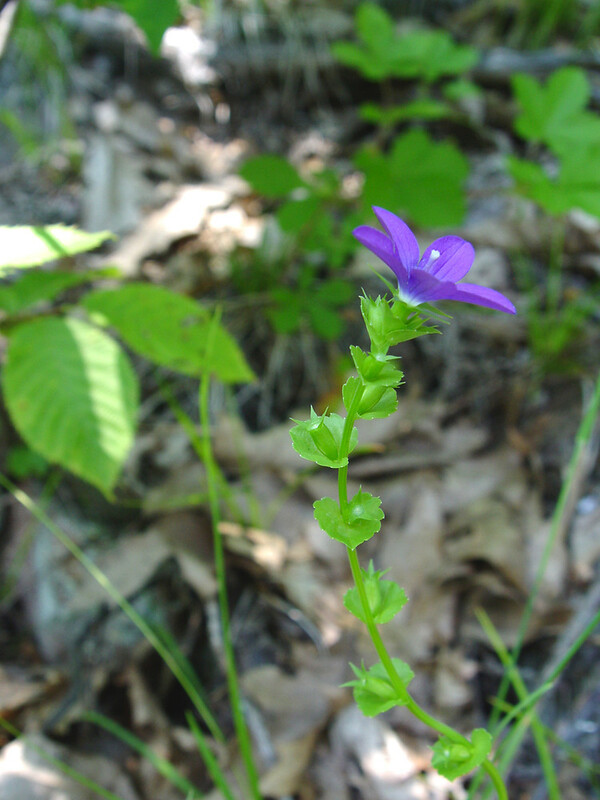 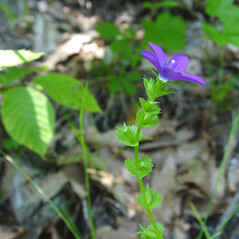 Legousia perfoliata (L.) Britt. 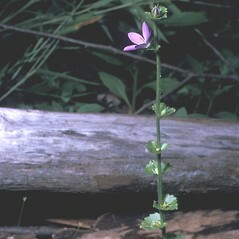 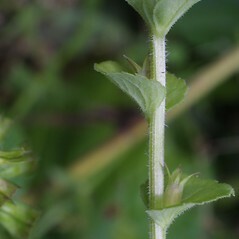 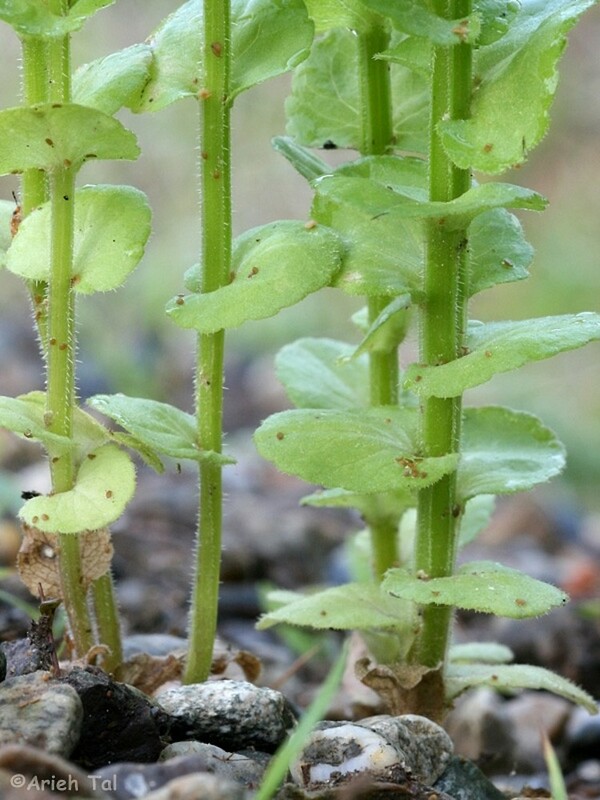 ; Specularia perfoliata (L.) A. DC. 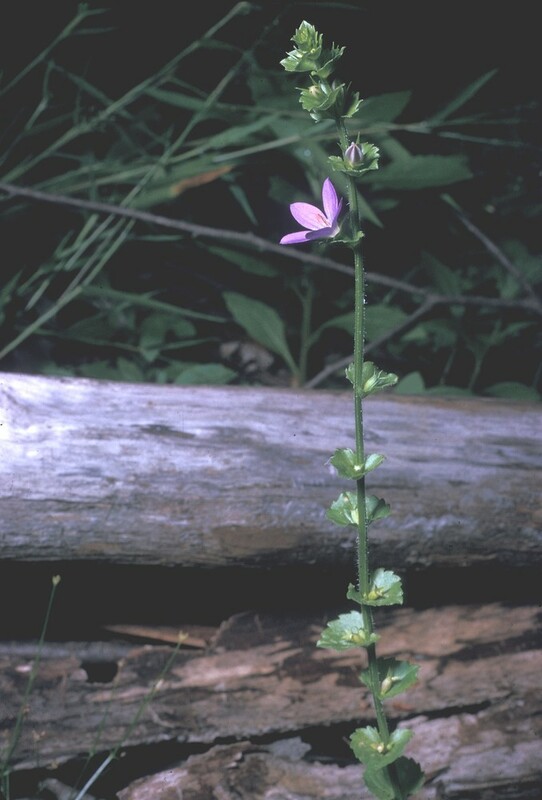 • CT, MA, ME, NH, RI, VT. Deciduous forests, cliff bases, rocky slopes, disturbed sites, lawns, sometimes weedy. 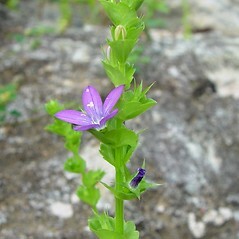 The lower flowers of this species are cleistogamous and have a 3- or 4-merous calyx and show reduced corollas and shorter capsules compared with the chasmogamous flowers.